Is Online Concierge Medicine For Me? After several months of pain in your shoulder or knee and conservative measures, you feel something more serious may be going on in your joint. A tear? Cartilage damage? Ligament injury? Plain film x-rays will likely not show these types of injuries and soft tissue damage. So you really just want to get an MRI to get to the root of the problem. You want to know what is causing your chronic shoulder or knee pain. So, you are pretty sure you need an MRI. Now what? Call your doctor to get a referral? It is likely your doctor (and the insurance company) will want you to come in for an office visit. But that takes time and money. The visit can seem sort of silly: you recap what you've done for your shoulder or knee pain over the last few weeks to months. Your doctor asks if you have tried the usuals: NSAIDs (e.g. Ibuprofen), Physical Therapy and activity modification. How great would it be if you could just request a referral for an MRI online? A "no referral MRI" or "self referral MRI" so to speak. Avoid the hassles of taking time off work for a doctor’s appointment. Let your online concierge physician from Cirrus Medical Network (CirrusMED) help you get that MRI. Which pathway below looks more appealing? Get an MRI quicker with your CirrusMED physician. Once you establish as a member, your physician will review your medical history and perform a virtual visit. If an MRI is deemed medically necessary, then certainly we can order an MRI. From there, we can send the order to any diagnostic imaging center of your choice. Generally we can do the ‘prior authorization’ if required by your insurance company. All of those services are included in your membership fee. As for facilities, we do not contract directly with any specific imaging facility. Rather, we encourage people to shop around (ask for ‘cash price’ if needed) or use an imaging center contracted with their insurance. We have had members get MRI’s, CT scans and Ultrasounds all around the USA. Several websites list costs for diagnostic imaging services, so that’s a good place to start, but it doesn’t hurts to ask around your local region first. Most imaging centers will require an ordering physician…that’s where we come in. Unfortunately the logistics involved with getting an MRI for a toddler is outside of the scope of our services. Generally, with very young patients the attending physician (pediatrician in this case) may need to arrange for anesthesia to be present. The institution may require a physician with local hospital privileges to coordinate. For patients over the age of 13, this is usually not an issue. Perhaps, get a second opinion with another pediatrician or family physician? Best of luck! Unfortunately we cannot provide specific medical advice (especially in a public forum), without a consultation. CirrusMED physicians are able to address your concerns and order MRI’s. Please check out our membership options. Thank you! I noticed this was written in 2014. Can I still get a prescription for a shoulder MRI on this website? I’ve already had X-rays. No insurance. Paying out of pocket for MRI. My physical therapist has suggested I get an MRI in order to make sure I don’t have a subluxation. Unfortunately we cannot provide specific medical advice (especially in a public forum), without a consultation. CirrusMED physicians are able to address your concerns and order an MRI if deemed necessary. Please check out our membership options. Thank you! I have had back pain for years upon getting up in the morning or sitting for prolonged periods. My old rheumatologist suspected SpA and was treating me for that.She saw changes in my X-rays that indicated early evidence of SI joint damage. My insurance changed and I had to change rheumatologists. The new Dr.does not agree with the diagnosis and says he “only’ sees osteoarthritis. He ignored my other symptoms but did say he would see me in 3 months and advised me to stay on the meloxicam I am taking daily. No one has ever suggested doing an MRI even though I read that this is a more definitive way to see early damage and treat it BEFORE it becomes permanent. I want to get an MRI of my lower spine and SI joints. I had a friend who was dismissed like this and, in the end she ended up with permanent, irreversible shoulder damage due to RA which could have been slowed or prevented with treatment. Can you authorize an MRI for a situation like this? Unfortunately we cannot provide specific medical advice (especially in a public forum), without a consultation. CirrusMED physicians are able to address your concerns and possibly order the MRI’s you are requesting. Please check out our membership options. Thank you! Can you work with straight Medi-cal?. How long will the process take? Are their out of pocket costs? We do not work directly with MediCal. If, after consultation with your CirrusMED physician, it is determined that an MRI is necessary, then an order will be sent to an imaging center of your choice. If MediCal agrees that indeed the MRI is medically necessary, then it may be convered. Sometimes a prior authorization is required, which may or may not be performed by your CirrusMED physician. If MediCal declines to cover the MRI, then you will be responsible for the cash price of the MRI. The cash price varies from facility to facility and depends on the type of MRI ordered. We always encourage our patients to “shop around” for the best priced MRI. I am looking for a script for either mri or msk ultrasound or both for my foot and ankles. Will pay out of pocket. Just looking for script. We are able to order imaging studies (MRI, Ultrasound, etc.) to the imaging center of your choice. Please look at our membership options. After signing up, your online physician will review your case and order the appropriate study. I was diagnosed with MS 12 years ago and my original diagnoses was lost when i moved to Florida along with all my other records and the place is no longer open. I have found a place that does MRI’ S in my area I can afford, but my doctor for the last two years just closed and can’t write a script for it and the new doc won’t take me without it. Any suggestions on how to get an MRI for the place i can afford without a script?? Good for you for shopping around for an imaging center that will accept cash pay. We can evaluate your case and, if deemed necessary, order an MRI to be done at the facility of your choice. The results will be returned to your CirrusMED doctor and shared with you. The only reason why I would join this company would be for a MRI order. I would be livid if I spent 49 bucks and wasted my time speaking with your doctors and a MRI was denied. I would expect a refund. Our doctors review the request and order based on clinical necessity. This is done through review of your medical history and consultation as necessary. At times, the initial request needs to be modified based on the physician’s clinical judgement. However, since our patients are paying directly to for the referral and directly to the imaging center (cash pay), there is little in the way of denying an MRI/imaging study…unlike traditional channels using one’s insurance. We do not do prior authorizations, nor deal with insurance requests since they are often looking for ways to deny payment. That being said, most independent imaging centers will work with ‘cash pay’ patients and provide significant discounts. That being said, we do offer refunds if the referral is unable to be completed for whatever reason. Hi I have a cavernous malformation in my brain and I’m suppose to be be getting MRI check ups on it but it has been awhile since I had one.Recently I have had problems that are pointing to the malformation bleeding or swelling.Memory Loss,constant headaches,dizziness etc.so I asked my doctor do MRI referral and it has been 3 months!I have insurance and every time I ask about my referral I get told that it hasn’t gone Thru insurance yet that they are working on it and will get in touch.This cavernous malformation is suppose to be removed if it got worse.I don’t understand what is taking so long especially on something as important as this.What would I need to do to get MRI through you? Unfortunately, health insurance imposes several roadblocks to care (I know, contrary to popular belief). Health insurance does NOT equal health care. MRI’s are typically a high-cost service and therefore insurance companies will try to limit utilization and therefore control their costs. So, even if an MRI is clinically indicated, and your doctor order’s it, it may not be easily obtained nor “covered” by your insurance. Likely, a “prior authorization” will be needed, which often requires your physician to contact the insurance company rep (ever try calling a large insurance company??) and pleading your case to a non-clinical provider (RN, NP, or MD). Most doctors do not want to take the time/effort to fight the insurance company, and therefore either downright refuse to do it, or haphazardly try and then give up — not worth it to them and too busy. That’s just the reality. That is where direct care comes in. There is a movement of direct care that has taken hold out of this frustration. 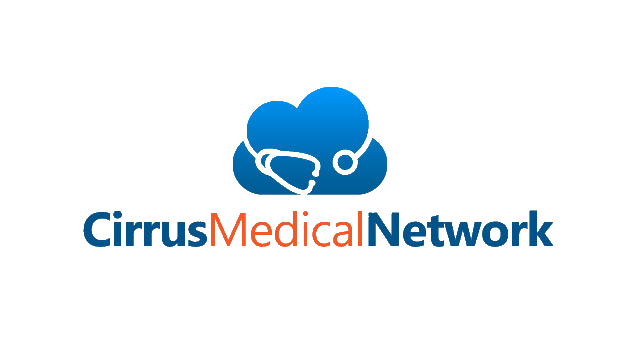 Cirrus Medical Network is just one of many organization that offer direct pay care. Eliminating insurance drives down the costs by reducing all of the middlemen and hassle factors. We offer direct primary care online. Retain one of our physicians online. Have your case reviewed and then, if clinically indicated (i.e. the doctor, not the insurance company, recommends the MRI or similar test), the order will be sent directly to the imaging center of your choice. This is done via telemedicine. Independent imaging centers with cash-pay options are best suited for this model of care. Hospital systems are more suited to insurance based services and usually are less willing to work with you. Make sure to read the detail and feel free to message us with questions. I need a prescription for a 3T prostate MRI with and without contrast. If I submit my request online, how certain can I be that you will issue a prescription? What happens to my payment if you do not issue a prescription? Thanks !! Prostate MRI’s are on our list of imaging referrals: https://cirrusmedicalnetwork.com/diagnostic-imaging-list/ Note that we reserve the right to decline an imaging referral if 1) test and or clinical situation is out of the scope of telemedicine 2) if our physician deems the test inappropriate. In either case, we may offer a refund — but please check prior to purchasing an imaging referral. Remember — $49 is MUCH less expensive than going to your primary care physician or a specialist, and then dealing with insurance hassles (prior authorizations). We do not process prior authorizations and we ask that you tell the imaging center that you are paying cash for the MRI (usually discounted significantly). We can create a referral for your daughter assuming her clinical situation justifies the need for a scan. What is Cirrus Medical Network (CirrusMED)? Copyright © 2019 cirrusmedicalnetwork.com. All Rights Reserved. Your Doctor. Online.